Petrol is, at times, very confusing. 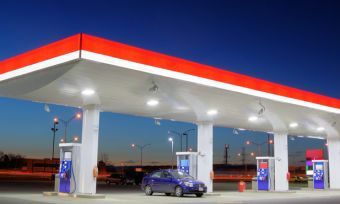 Each fuel retailing group has its own brand names for the fuels it sells. And the petrol itself is available in four different ‘flavours’ generally: 91, 95, 98 and e10. It can be very confusing knowing which one to re-fill your tank with.. So which petrol should you use? The numbers are what matters. Standard unleaded petrol is 91. Premium unleaded is both 95 and 98. The ethanol-blended e10 (a mixture of up to 10 per cent ethanol in petrol) is a substitute for 91 in most cars. Some distributors have other blends, such as e3 (3 percent ethanol). Carmakers design engines for a minimum octane rating. If you open the fuel flap of your car and it says ‘unleaded petrol only’ it means 91 octane fuel is OK. If the fuel flap says ‘premium unleaded only’ it means you need to use at least 95. If the fuel flap tells you to use 98 … that’s what you need to do. Fuel retailers love to talk up the purported benefits of their premium fuels. They don’t lie on this, but they do sometimes overstate the benefits. Most modern engines will adapt up (very slightly) if you run them on a higher octane fuel than the minimum recommended – you will get either better economy or more performance (depending on how you drive). But in practise, the improvement is tiny, and the price premium of the higher octane fuel always eclipses the economy benefit from running it – in other words, it’s not an economically rational choice to run 98 in an engine designed for 91, even though it might run slightly better. Ethanol is interesting. e10 is not a substitute for premium unleaded petrol. If your car requires 95 or 98, e10 is not a viable fuel for it. The majority of cars on New Zealand roads designed for 91 petrol can accept e10 – but you should check the owner’s manual or ask the manufacturer or dealer first. You can also find out more about biofuels here. Ethanol is an octane booster for petrol, so e10 generally has an octane rating higher than 91. (Notionally it’s 94, but in practise it depends on exactly how much ethanol there is in the ‘up to 10 per cent’ blend at any particular re-fill.) This means your car will perform slightly better on e10 – but there is a trade-off. The trade-off is that there is about 30 per cent less energy in ethanol, compared with petrol. When it’s blended 10 per cent with petrol, there is about three per cent less energy in the blend, and that means your fuel consumption will increase by about three per cent when you run e10 compared with 91 octane unleaded, if all other things remain equal. And that means, for e10 to be an economically rational choice for you, it really needs to be about three per cent cheaper than 91 octane regular unleaded. John Cadogan is an Australian automotive journalist and is currently editor in chief of Carloans.com.au. He frequently presents news for some of Australia’s top media companies such as Channel 7’s Today Tonight and 2UE radio. John can be contacted via twitter or via the contact page here.